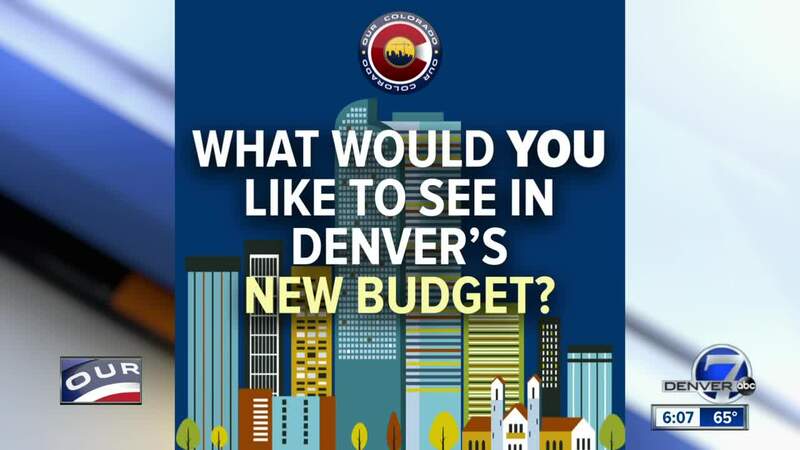 The city of Denver unveiled a $1.46 billion budget proposal for the 2019 fiscal year on Thursday morning. 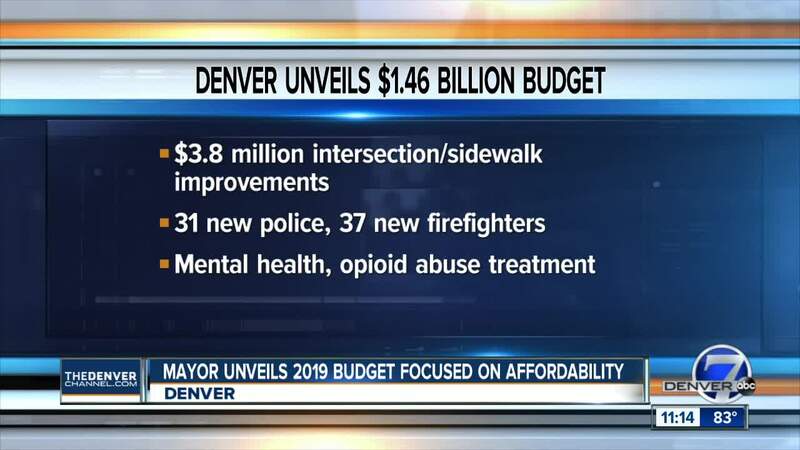 DENVER — The city of Denver unveiled a $1.46 billion budget proposal for the 2019 fiscal year on Thursday morning. This budget — which focuses on affordable housing, mobility, safety, mental health and drug abuse — provides a record $50 million for affordable housing, thanks to a 2 percent increase in the marijuana tax from 3.5 to 5.5 percent. There is one major change: For the first time, families will have the opportunity to take advantage of a property tax rebate program for homeowners. Previously, only singles, elderly or disabled people were able to participate in that program. More than 31 percent, or about $10 million, of the Affordable Housing Fund will support homeless programs. This 2019 budget also provides an additional $27 million for Denver’s Mobility Action Plan, which includes improvements to bicycle and pedestrian networks. A total of $7.1 million will be invested in bike network infrastructure to create 125 miles of new bike lanes over the next five years. The budget places new emphasis on mental health and opioid addiction treatment, which includes providing funding for a mobile van for needle exchanges. To address safety issues with Denver’s growing population, the city will hire 31 new police officers, three new detectives to focus on domestic violence cases and 37 new firefighters. Much of this budget follows Mayor Michael Hancock’s promise, which was laid out in the 2018 State of the City, to increase equity in underserved neighborhoods. That included $1.2 million for Work Now, an employment program to train workers in construction industry jobs. To protect Denver’s older neighborhoods, the budget authorizes $9 million in capital projects through the Denveright comprehensive plan . Read the full budget proposal here .